Note: ARENA and the Victorian Government will jointly provide $25 million in funding for both this project and the Gannawarra Energy Storage System (GESS). 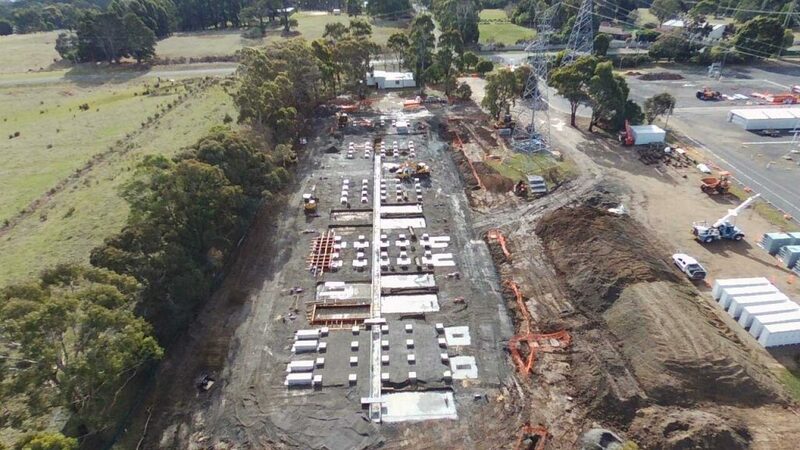 $25 million will be provided to a consortia led by Spotless Sustainability Services to build a 30 megawatt (MW) / 30 megawatt-hour (MWh) large-scale, grid-connected battery located at the Ballarat electricity station (Ballarat Area Terminal Station (BATS)). It is being developed by NuvoGroup (owned by Spotless). Fluence (a AES-Siemens joint venture) is the battery provider, AusNet Services is providing the equity, EnergyAustralia is the long-term offtaker, and ARENA and the Victorian Government are providers of grant funding. The project will help storage become a trusted system solution, which in turn will influence both regulatory and market responses to system security issues around increasing intermittent renewable penetration. This could help prevent other response measures or long term policy/investment decisions which would otherwise curtail renewable energy investment. Through knowledge sharing, this project will demonstrate the value of battery services and assist to bridge the current gap to commercial viability, allowing other similar battery storage projects to progress without subsidy. This project will demonstrate how batteries can help provide grid stability and support on a congested transmission terminal, at a critical location, reducing the need to expand the substation. The battery will be capable of powering 20,000 homes for an hour.